Email marketing has been around a long time and it’s success continues to grow year after year. According to the latest Email Statistics Report from the Radicati Group, people will send and receive 281 billion emails per day this year and 3.8 billion email users are expected worldwide by the end of the year. According to the DMA, more than 85% of US adults use email and 99% of those users use it everyday. Email is the preferred communication tool for both marketers and consumers with consumers stating that they prefer email for communicating with the brands that they do business with over all other marketing channels. Email marketing is evolving and email marketers will continue to see great performance and opportunities ahead of them. Here are our top 8 statistics that prove email marketing is alive and growing. According to a report by the DMA and Demand Metric, email delivers a median ROI of 122%, which is more than four times higher than other marketing channels including social media at 28%, direct mail at 27%, paid search at 25% and display advertising at 18%. According to the DMA’s Statistical Fact Book, email has the lowest CPA per dollar spent at $10.23. Email’s CPA also beat social media at $21.95, direct mail at $23.75, paid search at $21.50 and display advertising at $19.50. Email open rates have increased steadily over the past six years. Email open rates are the strongest they have ever been at 28.8%, according to the North American Email Benchmarks and Trends Report. 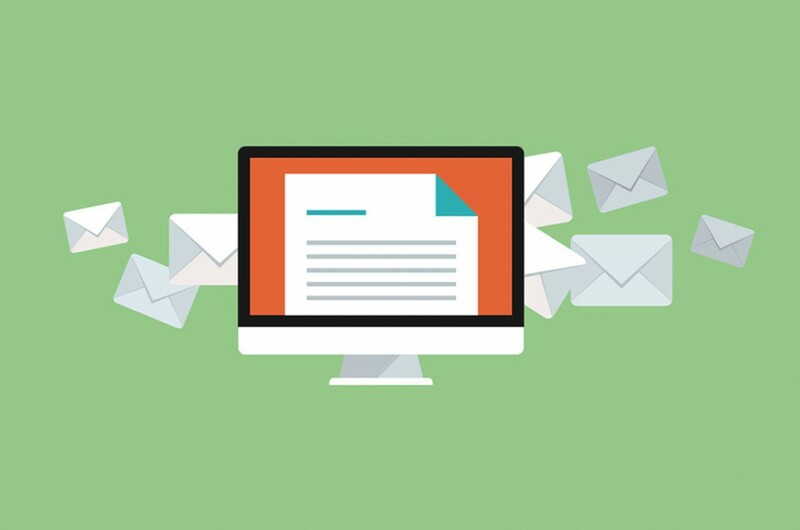 Email marketing delivers the highest customer retention rates at 90%, out-performing all other marketing channels including TV, radio, direct mail, mobile marketing, search, digital media and social media marketing, according to NAPCO Research & Target Marketing. Over 73% of millennials chose email as their preferred communication method when connecting with the brands they do business with. Millennials even stated that they prefer connecting with brands through email over social media, according to a study from Adestra. The increase in smart phone use is helping email to evolve and stay relevant in today’s mobile world. More email is read on mobile devices than on desktop email clients. Over 55% of email opens occur on smart phones and tablets which is an increase of over 180% in the past three years. Over 3 Billion email accounts are in use today and email is used across all generations. There’s no marketing channel with a wider reach than email. Email is getting smarter everyday and shows no signs of slowing down. Email will continue to improve and continue to deliver strong ROI and results in the future. As more investments are made in the technology, email will get even better and be even more effective for both marketers and consumers. Visit us online at http://www.etargetmedia.com. Email marketing has seen strong growth over the past few years and a new survey by Email On Acid shows that marketers will continue to devote additional resources to the digital marketing industry’s strongest performer in 2017. Email on Acid surveyed over 3,000 email marketers including email developers, account managers and marketing managers to evaluate how they will spend their time and money on email marketing this year. 87% of the email marketers that were polled in the survey said they plan to invest more money in email marketing this year while 74% said they planned to increase the time they spend on email campaigns in 2017. Over 50% of companies surveyed said they would spend the additional email budget on email technology and tools. Email design and development, email list growth and adding staff to the email marketing team are additional areas that would see increased investments. A majority of the email marketers stated they would increase their email budgets to develop more personalized and dynamic email content so they could make their email campaigns more engaging to their audience. Email is still the most preferred method of communication for many businesses as well as consumers who prefer to be contacted by companies through email. Email is easy to implement, accessible from any device, direct, timely, and trackable. In addition, email has the highest ROI of any digital marketing channel, but the lowest spend and email remains a strong revenue driver in 2017.